Treasures are hidden in places you will never imagine to look. Do you seek to find or you just ask to receive stipends? Treasures are hidden in different parts of Nigeria and this is why people from the Western world will see money on the streets of Nigeria while Nigerians see waste and dirt everywhere. How far your eyes can see is how far your blessing can reach. If you say it is a lie, ask father Abraham. Bayelsa is an oil-rich state and those who live in it sometimes see only oil as the natural deposit. 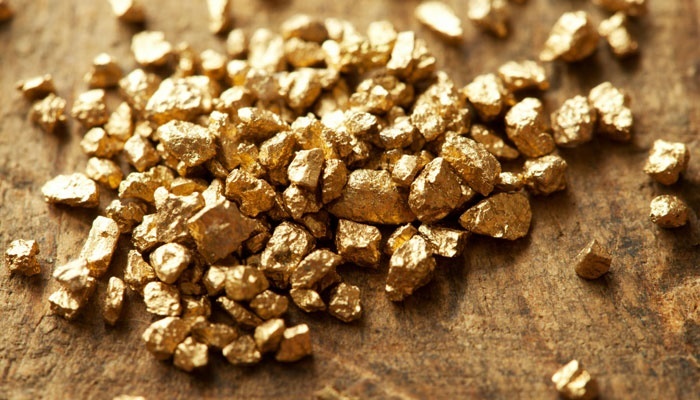 Mr Jackson Aka, is from Afikpo in Ebonyi State, but his search for wealth and treasure has led him to a gold mine in the oil city while most Bayelsan youths follow political office holders around shouting "Chairmo!". All they get is just a stipend that can buy them some bottles of beer and may be some substances for those that are science students. Jackson is now an employer of labour just from the mine he discovered in the state. After his 'A' level examination, Jackson, 32, had devoted a year and six months to learning how to wash, dry, iron and package clothes neatly. During those months of apprenticeship, he saved some money with which he started his own. Bounce News walked into his business location at Justice Tabai Street by Tonimas Filling Station, Edepie Yenagoa, in Bayelsa State. It was a small shop but it bore marks of a growing laundry business which he said was a gold mine he discovered. Those who want to free up time to chase money will be delighted to give away their clothes to people who can wash and iron it neatly. That's what Jackson saw as a mine and he began to dig. Smiling, he explained how he started and managed to sustain his business and the profit he makes monthly. "I started with buckets, detergent, pressing iron, and gradually bought washing equipment. "The desire to be self-reliant and have a steady source of income was my driving force. "I plan to further my education soon and expand my business. He has employed two people. 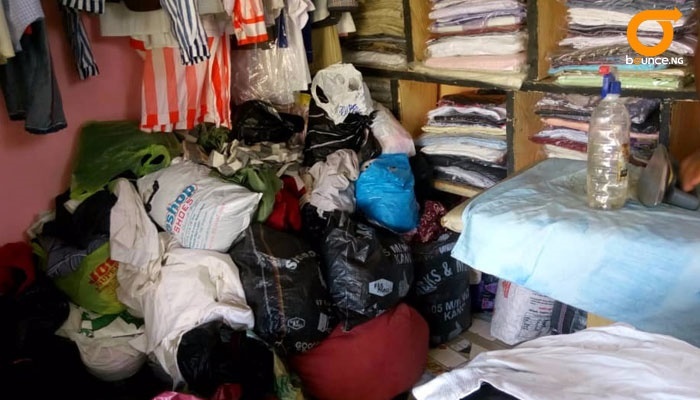 Pointing at the heap of clothes in different plastic bags at a corner inside his workshop, the laundry man said he washes clothes for the present commissioner of Ijaw Affairs, Austin Dressmann, an electronic dealer, K. C. Timo, bank executives, business men and women, clergy men, traders and students. He has customers from different communities across the state capital. 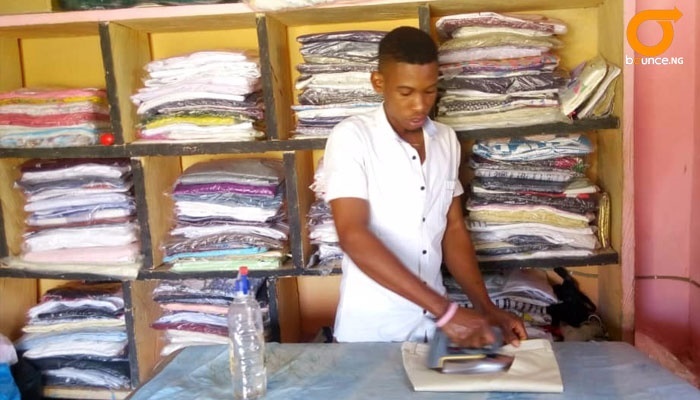 He charges the sum of 600 Naira for a suit, shirts and trousers cost 200 Naira each, bed-sheets and duvet cost 1,000 to 1,500 Naira depending on size. Jackson has not only discovered a gold mine, he is also bringing in friends and people who want to raise money into the business. "If business is good, I make 50,000 to 60,000 Naira as profit monthly. "Epileptic power supply remains my only major challenge. "I spend a fraction of my profit in buying fuel for my generator. 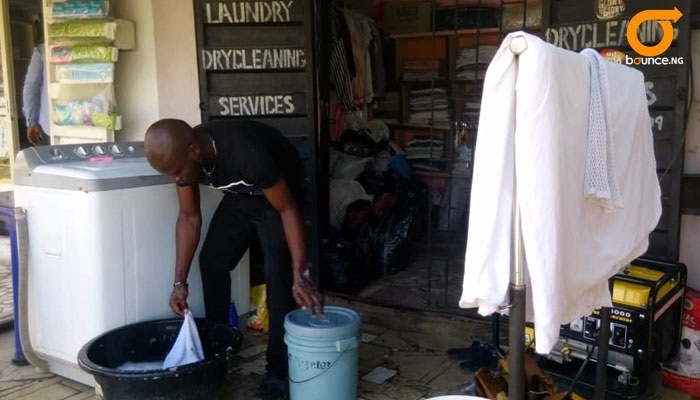 "I have also encouraged some of my friends to start up dry cleaning businesses from their home. "Sometimes, they come to iron clothes in my shop," he said. He said it does not matter how one starts. "Determination and focus are what every entrepreneur need," he added. By his analysis, to start a standard dry cleaning services, one needs the sum of 500,000 Naira. But he encouraged idle Nigerian youths to start from their houses with buckets and grow gradually. A customer who had come to collect his clothes, Mr Ebipade Timothy, said "Jackson is my laundry man. "I have known him for some months and he is hardworking, humble and honest. "He delivers as and when due". Around you are businesses that you can start and make money while you grow the business. All you need to do is look at every challenge and see what should have been done differently to make it better. In an already existing business idea lies millions of other ideas that could be turned into businesses.